New Delhi: Droom, India’s leading online automobile marketplace today announced the winners of the inaugural season of Droom’s B-plan competition, launched on September 15, 2017. The nationwide business strategy and planning competition saw entries from 269 contestants. 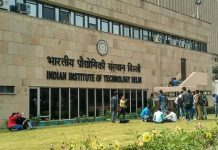 An IIT Roorkee team consist of (Rohit Joshi and Renju K Kokkattu) was selected as the winner, post an extensive evaluation process lasting one-and-a-half months. The winners were awarded a cash prize of INR 1 lacs, hand-picked selection of Droom merchandise, pre-placement interview at Droom and mentorship by Mr. Sandeep Aggarwal- Founder & CEO Droom, serial entrepreneur and mentor. The first runner-up prize was jointly shared by IIM Shillong and Great Lakes Institute of Management, Gurgaon. The team IMI, New Delhi, won the second runner up award. Droom’s B-plan competition challenged the participants to develop various innovative business strategies that could popularize Droom’s C2C marketplace format, wherein individuals will be able to list their vehicles on the platform to be purchased directly by buyers. Drafting the proposal was no mean feat in itself; as the participants were expected to undertake extensive on-ground research as well as create a detailed blueprint of the proposed plan of action, with 35% and 65% marks assigned to each respectively. With the brightest business minds across the country devoting their energies to developing the perfect strategy, the Droom jury evaluated them on their strategic response to actual business situations experienced by the platform. The seven finalists included EHFAR, Gladiator Kings, Individual, Panda Bears, Swift & Clear, Team Rockets and The Three Musketeers. The 1st and 2nd runners-up received INR 50,000 and INR 25,000 respectively, along with pre-placement interviews and merchandise from Droom.